As the complexities of climate change loom large across all sectors, one thing is becoming increasingly clear for corporations: taking action on climate change is smart business. But while the business case for investing in clean energy to fuel business operations is well-known, for many companies the bulk of greenhouse gas emissions and climate risk exist in their supply chains. Only by using their influence to address climate change in their supply chains will businesses thrive into the future. 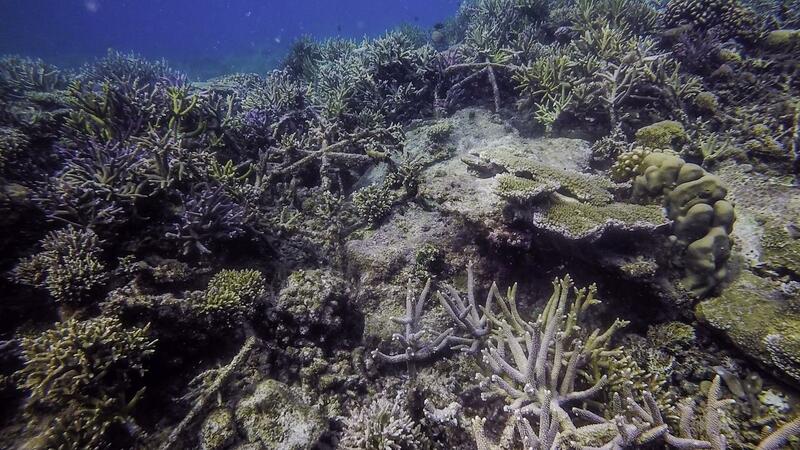 Mars restores coral reefs in the Coral Triangle, which increases resilience of coastal communities. Corporate climate action is growing. Over the last few years, the business community has awakened to the reality that actively responding to climate change isn’t just the right thing to do, it’s better for the bottom line. More than 12,500 companies, cities and other non-government entities – “non-state actors” in United Nations (UN) parlance – have registered climate commitments and actions into the UN NAZCA portal (an on-line data platform named after the ancient Peruvian geoglyphs that represent symbols of nature). More than 380 companies have signed on to develop science-based targets to reduce their greenhouse gas emissions in alignment with the goal outlined in the UN Paris Agreement to keep global warming to under two degrees Celsius. In the United States, the business community has come out especially strong in support of the We Are Still In campaign, which provides a platform for U.S. companies and subnational governments to pick up the mantle of the Paris Agreement as the U.S. Administration vows to pull out. The business case for climate action is clear. The enthusiasm of the private sector for taking action on climate change is perhaps unsurprising in light of the ever-clearer business case. 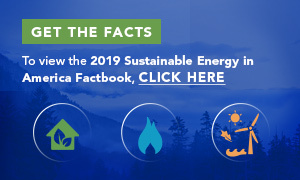 According to a 2017 article by the New Climate Economy, 190 of the Fortune 500 companies collectively saved $3.7 billion in 2016 through renewable energy and energy efficiency. And taking action early to reduce greenhouse gas emissions can give companies a competitive advantage over late-movers as an increasing number of countries and regions institute a carbon price. In 2017 around 42 national and 25 subnational jurisdictions had a carbon pricing scheme, generating a cumulative $20 billion in revenue. At Mars, this solid business case motivated us to launch our Sustainable in a Generation Plan, including targets to achieve 100 percent renewable energy by 2040 and cut our full value chain carbon emissions by 27 percent by 2025 and 67 percent by 2050. Stated simply, climate action is smart business. Agricultural supply chains are at significant risk. While the clean energy business case is broadly accepted at this point, the risk exposure and loss potential of climate change impacts for companies’ full value chains is less well understood, and perhaps even more significant. Consider the Mars supply chain: to make the branded products that consumers love, such as M&M’S®, Uncle Ben’s®, and Whiskas®, we source hundreds of ingredients from more than 80 countries. In the face of climate change, crops are exposed to stronger and more frequent storms, less predictable precipitation, and increasing potential for drought or other climate extremes. Around the world, agricultural systems depend on predictable cycles of sun, rain, and seasonal temperatures. In fact, according to the UN Food and Agriculture Organization, around 80 percent of global agriculture is rain-fed. When weather patterns that farmers count on are disrupted, food production suffers. The remaining 20 percent of agricultural area that is irrigated produces 40 percent of the world’s food, and is located primarily in China, India and Pakistan. Heat and drought conditions that increase water stress also threaten production in these areas, which are at the same time facing growing populations and growing demand for food. A couple of weeks ago, I participated in a Climate One podcast with Jason Clay, senior vice president at the World Wildlife Fund, an expert in climate change and food. Jason described countless examples of shifts in the areas where foods are traditionally grown – oats are now produced in Canada instead of the U.S.; the U.S. Corn Belt is edging toward the Canadian border, as well; and Russia is seeing bumper harvests of wheat as record temperatures boost yields, to name a few examples. As the world continues to see shifting trends in global agriculture, companies that depend on crops to create their products are going to have to adapt to continue to be successful. The key to future-proofing supply chains is sustainable sourcing. or food companies, the bulk of these risks appear at the highest tier of their supply chains, where farmers grow or produce the ingredients with which their products are made. Food companies rarely have direct control on how these ingredients are grown, or direct relationships with the farmers who grow them. Instead, food companies can influence the production of these ingredients through sustainable sourcing strategies – essentially setting standards and making strategic decisions on how and what they buy. Planning for the future and advancing climate-responsive agricultural production through sustainable sourcing can both help tackle the causes of climate change and build resilience to climate shocks. At Mars, we’re developing strategies to sustainably source the key ingredients we depend on. Sustainable sourcing strategies can improve the social and environmental impacts of ingredients, such as reducing greenhouse gas emissions, and take into account the changing political, environmental, and other contexts in which those ingredients are produced. 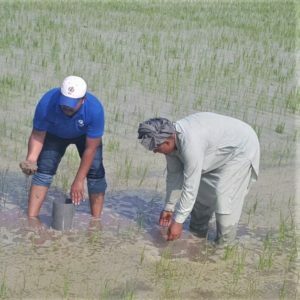 For example, in our rice supply chain we’ve set up water efficiency programs with farmers in water-stressed regions in Pakistan, India and Spain. In Pakistan, initial results have seen water use reduced by 30 percent and farmers’ income increased by 75 percent. In the U.S., we’re advancing alternate wetting and drying techniques to reduce water use. These efforts also reduce methane emissions, a potent greenhouse gas. Mars is also working to build resilience in critical ecosystems that support our supply chains. For example, we’re supporting the world’s largest coral reef restoration program in the Coral Triangle area near Indonesia, which is threatened by ocean acidification, ocean warming, overfishing, and other stresses. Using steel ‘spider’ structures to fill in damaged reef areas, the project has increased coral growth cover and diversity. Restored reefs provide food, shelter and spawning areas for a variety of marine mammals and fish, such as tuna which is an important supply chain for Mars pet food brands. Companies need to step up on supply chain sustainability. Of course nothing is ever fully future-proofed or climate-proofed. Climate change is by nature unpredictable, and because of the bank of CO2 that has already built up in the atmosphere, some level of climate change is inevitable. What’s missing is a clear process for embedding mid- and long-term climate scenarios into existing corporate risk management systems, to lower the risk of supply volatility and disruption. If climate science can be effectively translated for business, companies can make sourcing decisions that lower climate risks and raise the resilience of food systems. Reams of climate data and climate change scenarios are publicly available. Already this data is being translated into tools and metrics for national governments, states and cities to build climate resilience. We need climate, agricultural and business experts to come together to translate these data and tools for businesses, so that companies can integrate this data within their existing strategies and business systems. And we need food companies to step up and commit to sustainability not only in their operations, but in their supply chains, so that we can transform the agricultural sector into the clean and resilient food system of the future. This article was originally posted by the author to her LinkedIn profile on April 20, 2018 and is re-published here with the author's permission.